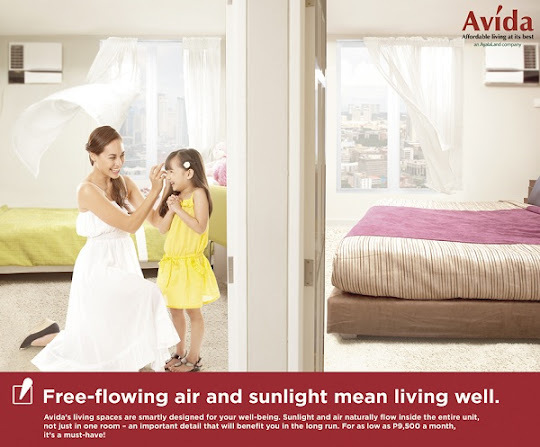 The brand promise of Avida stems from the brand promise of the parent company, Ayala Land, which is "Enhancing Land, Enriching Lives." 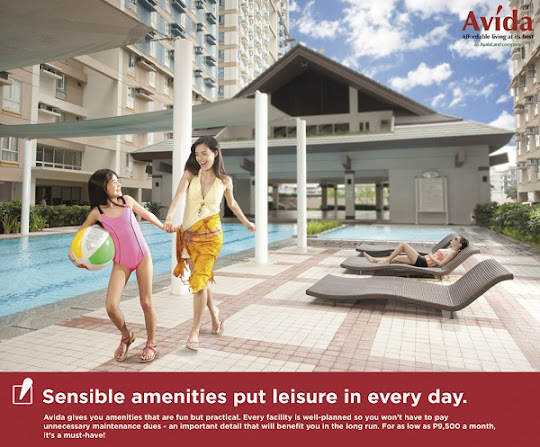 Avida focuses on enriching the lives of the hardworking middle class by offering their families a home to be proud of one that is nestled in a peaceful and safe community, accessible to public transportation, beautifully and practically designed, and one that will prove reliable performance over time. 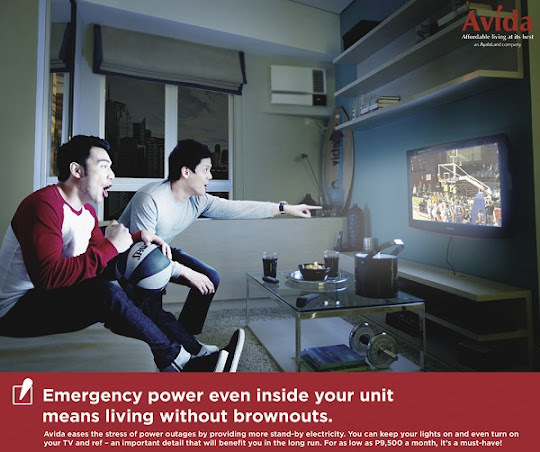 With the expertise of Ayala Property Management Corporation (APMC), the same group that handles all Ayala Land developments, you will never have to worry about problems related to utilities and services like garbage disposal ever again. 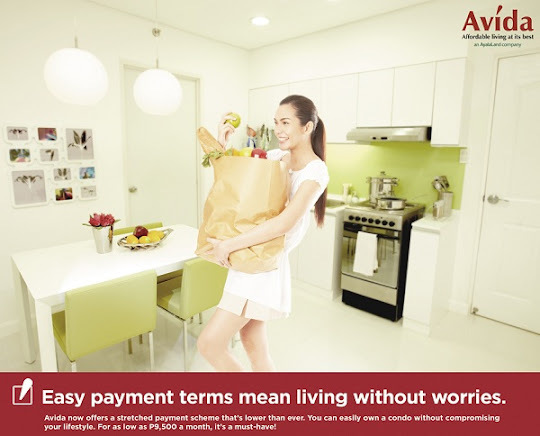 Through these 5 pillars and the full support of AyalaLand, Avida delivers secure, affordable homes in well-planned communities. Discover what it feels like to be "sure and secure". Move into the right direction. 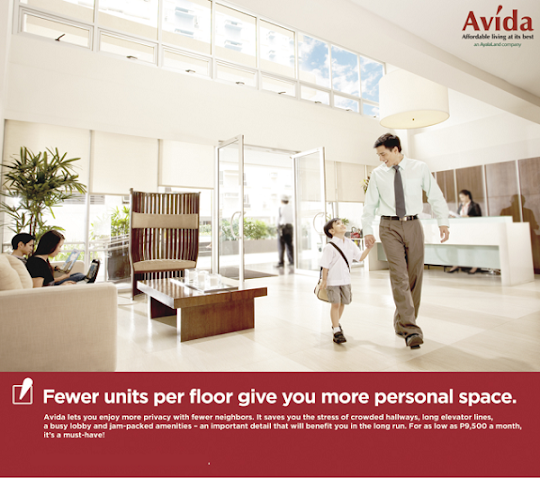 Move into Avida.